Our Brumby’s network is made up of hard working individual franchisees and bakers who pride themselves on giving back to the local community in which their business operates. After all, where would we be without you? We actively support each community that we are part of and are passionate about creating partnerships between our businesses and the local communities that support us. This includes our support to various charities around the country by donating bread to organisations that need it, as well as supporting local events around our communities. For some New Zealand families, Christmas can be a stark reminder of just how hard it can be to make a living, feed the family and spread the good cheer emanating from local communities. 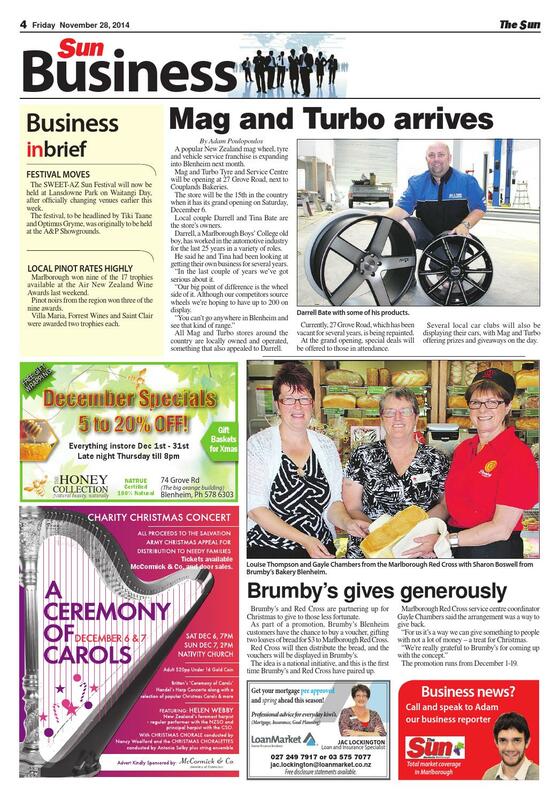 For Christmas 2014, Brumby’s Bakery Porirua, Blenheim and Taupo offered customers the chance to give local families a helping hand by partnering with various charities. In the month of December, customers had the opportunity to gift two freshly baked, wholesome loaves of bread to the their selected charities for just three dollars. Brumby's Blenheim teaming up with Red Cross below. 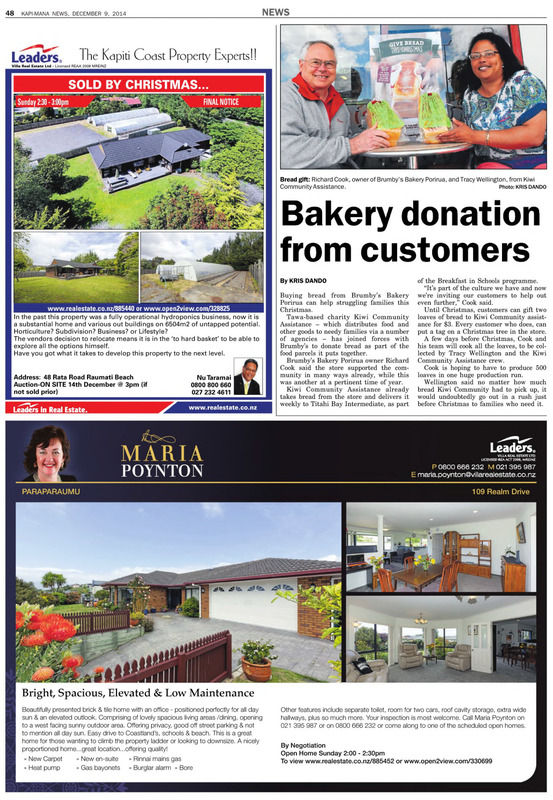 And Brumby's Porirua gave 264 loaves to Kiwi Community.